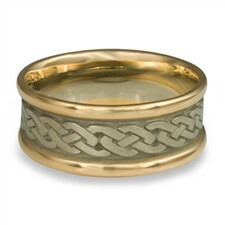 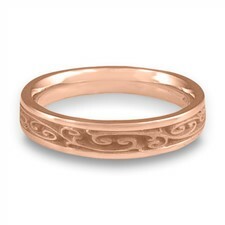 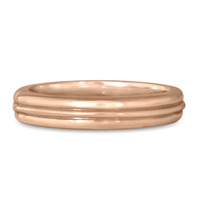 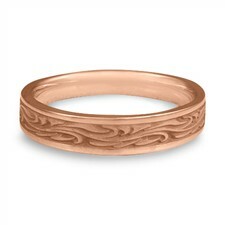 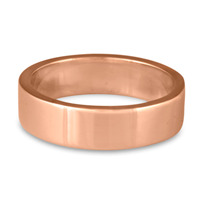 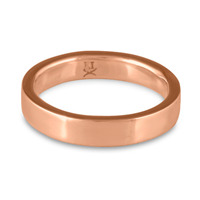 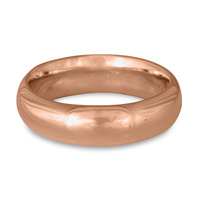 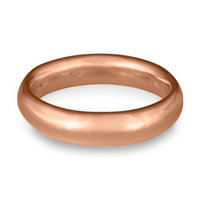 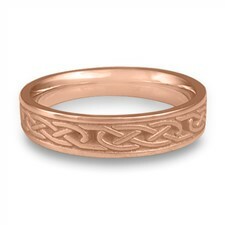 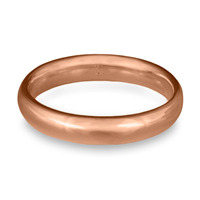 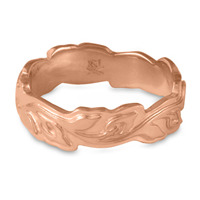 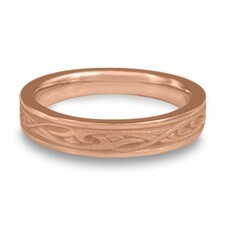 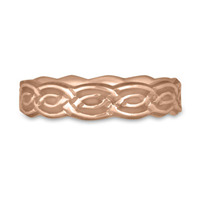 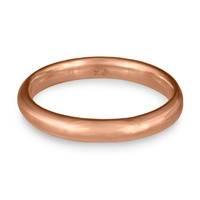 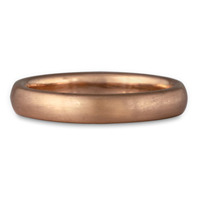 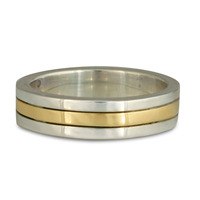 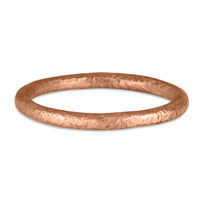 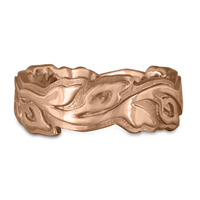 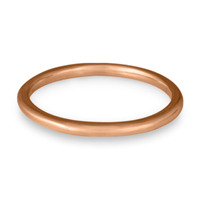 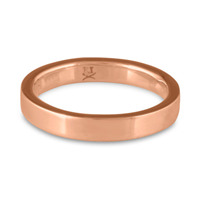 Exuding warmth, our Rose Gold Wedding Rings are an artistic, elegant option for any groom or bride to be. 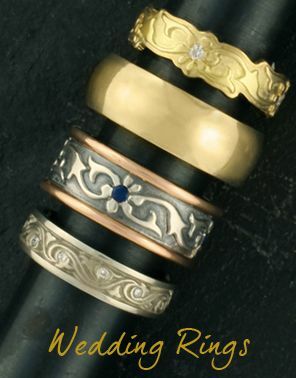 Explore our unique collection, from intricate two tone patterns to more classic and traditional styles. 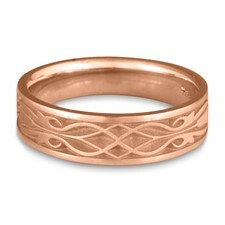 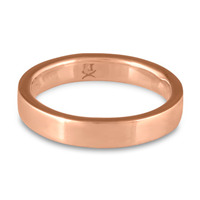 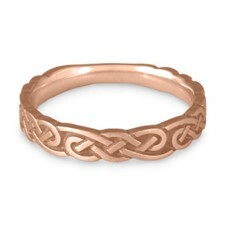 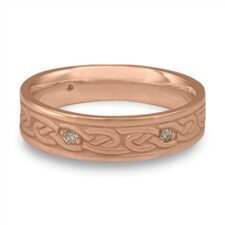 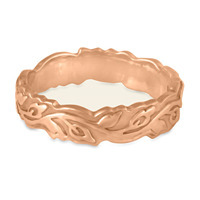 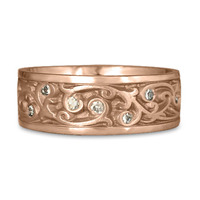 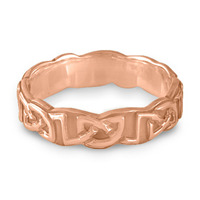 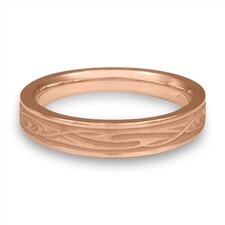 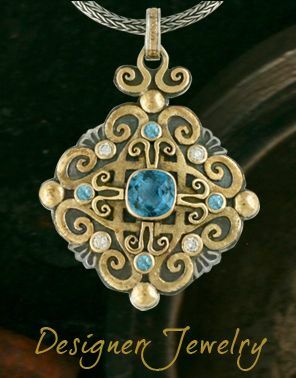 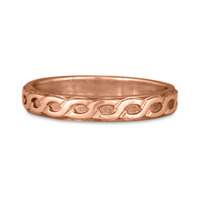 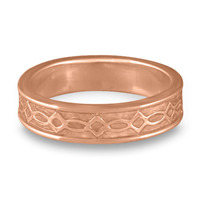 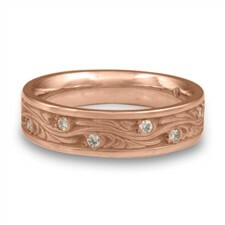 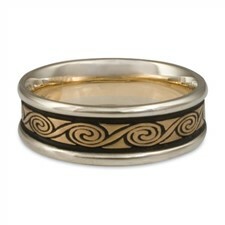 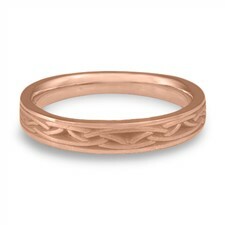 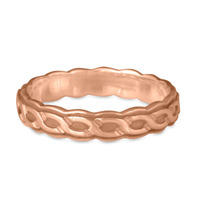 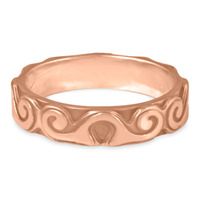 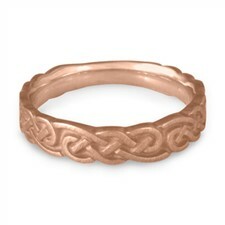 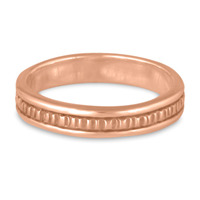 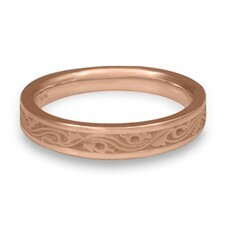 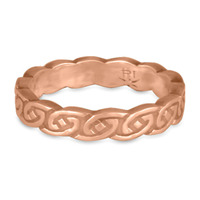 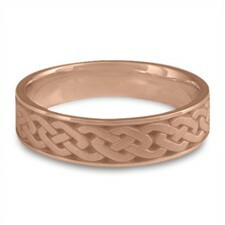 You can also chose rose gold accents on any ring of your choosing. 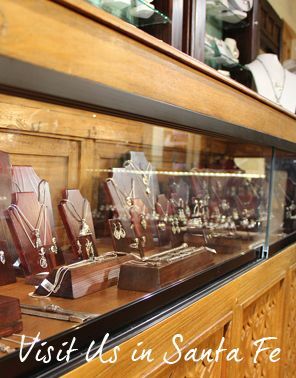 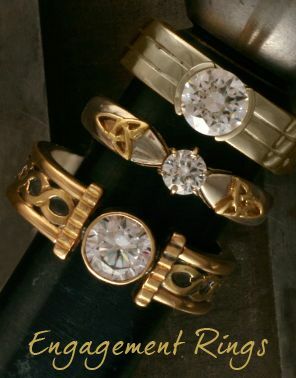 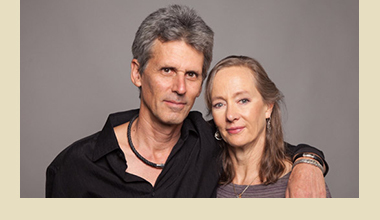 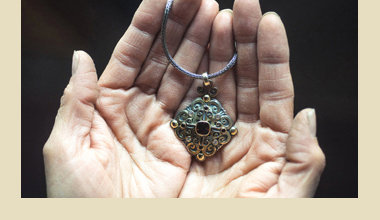 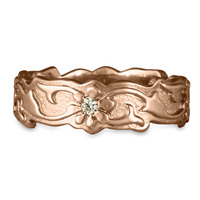 Our designs are studio-made which allows you to customize your Rose Gold Wedding Rings as you wish.